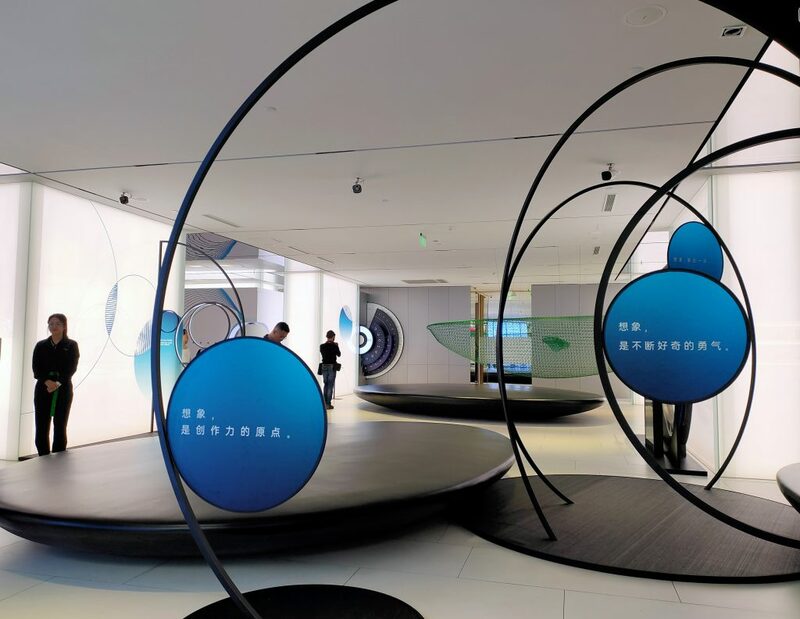 We visit Oppo’s flagship store in Shanghai, which gave us insight into how the brand is positioned in its home country, compared to how we know it in Singapore. 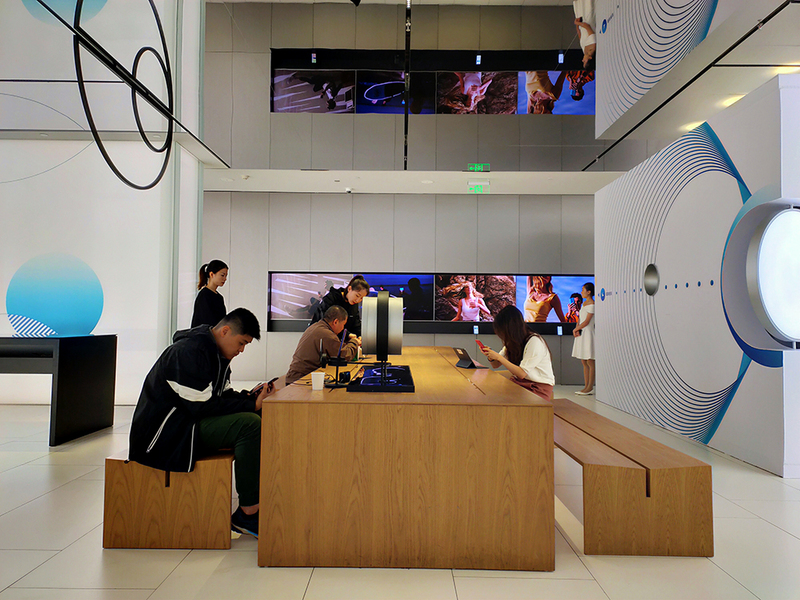 The store has been open since 2017, and is filled with hands-on installations that helps customers test their phones’ features. Last week, we had the pleasure of attending Oppo’s launch event in Shanghai for their latest Reno phone series. 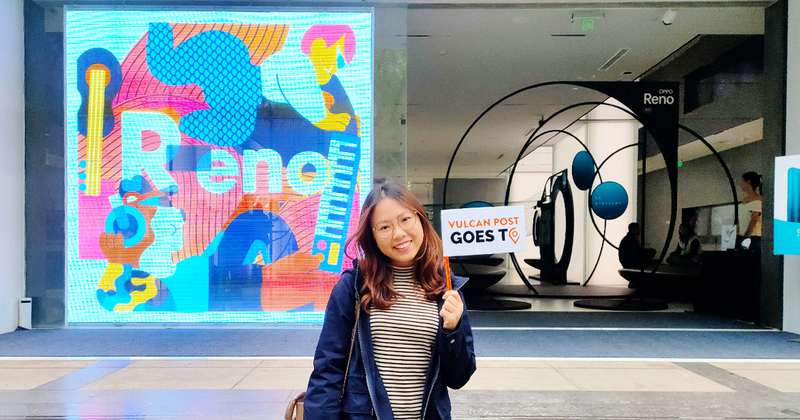 While the brand is understated and perhaps more associated with the older generation in Singapore, it was eye-opening to see how its image is different in China, where it was founded in 2004. Not only did a sizeable fan club showed up to the launch of their new phone, they also brought up the energy with adoring chants and enthusiastic responses to Oppo’s Deputy CEO Brian Shen’s speech. 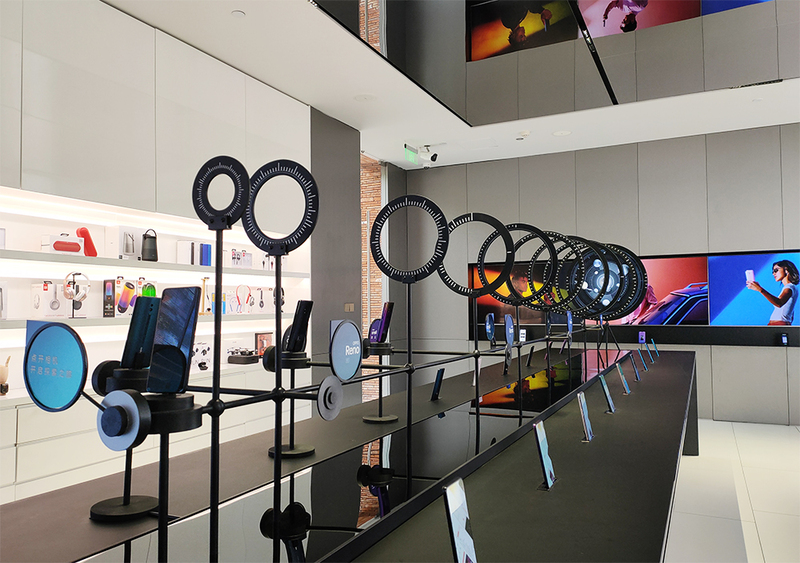 In contrast to our small, functional Oppo shops here, we visited their Shanghai flagship store that was uniquely designed to create a hands-on experience with their phones in every aspect. 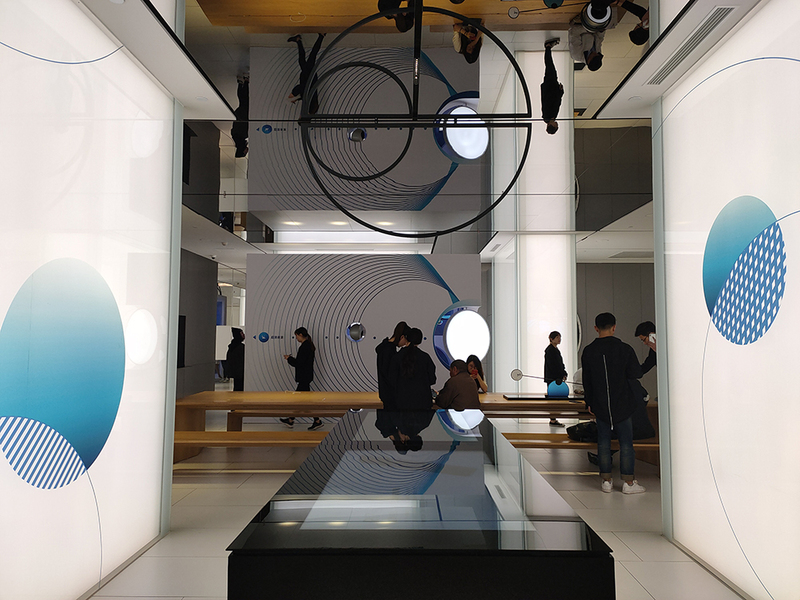 Housed on the street level of Oppo’s building on Huaihai Road, the 500-square metre outlet was opened in late 2017. The store is divided into a sales zone and an experience zone, with over 60% of the total space dedicated to letting customers mingle freely. As we stepped indoors, we were immediately welcomed by hosts who were constantly ready to offer friendly assistance, or a cup of water, to any visitor. Like any phone store, there were of course handsets on display for guests to try. Oppo made sure to keep the area spacious and empty so you won’t feel strapped or too close to another customer. 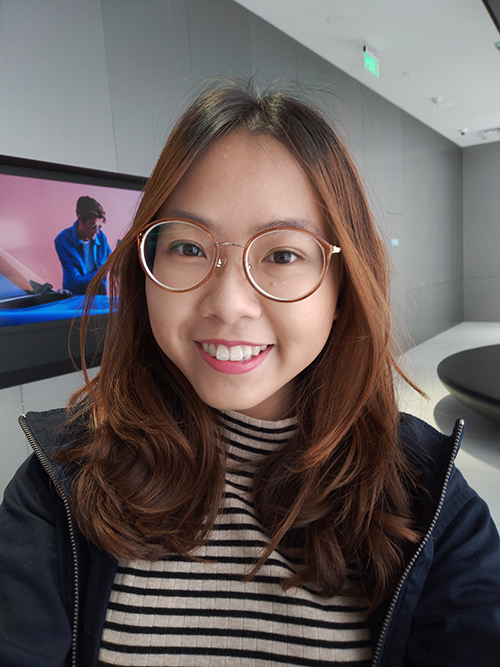 Oppo also understands that not all shoppers like to be approached by a salesperson and prefer to browse on their own instead. To cater to this group of people, Oppo provides a digital screen which allows customers to find all the information they need about the different phones available. Beyond that, they’ve also designed a few inventive pop-ups to let customers test and experience the features that their latest phones boast. 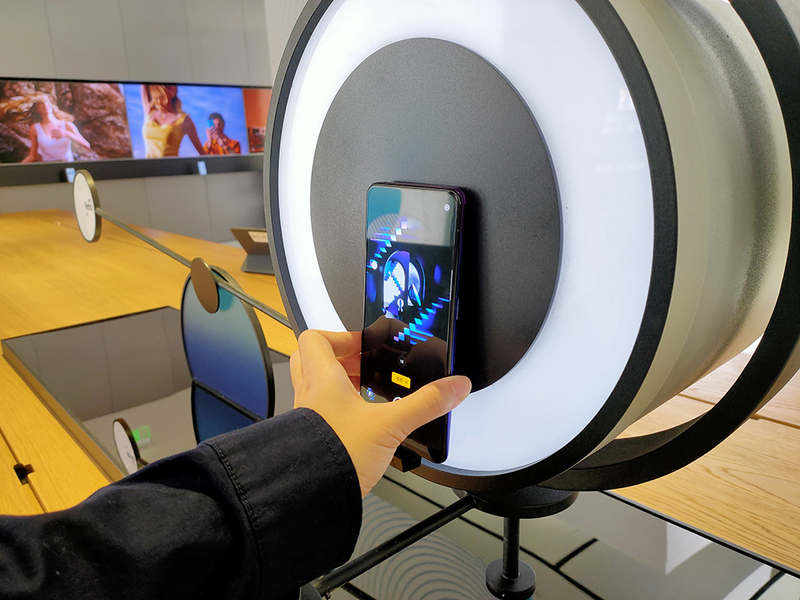 Currently, the entire store is laser-focused on the brand new Reno series, and everything is set up to show off its Ultra Night Mode 2.0 and 10x Hybrid Optical Zoom capabilities. I felt like I was in the Science Centre, where I could play and interact with cool experiments. 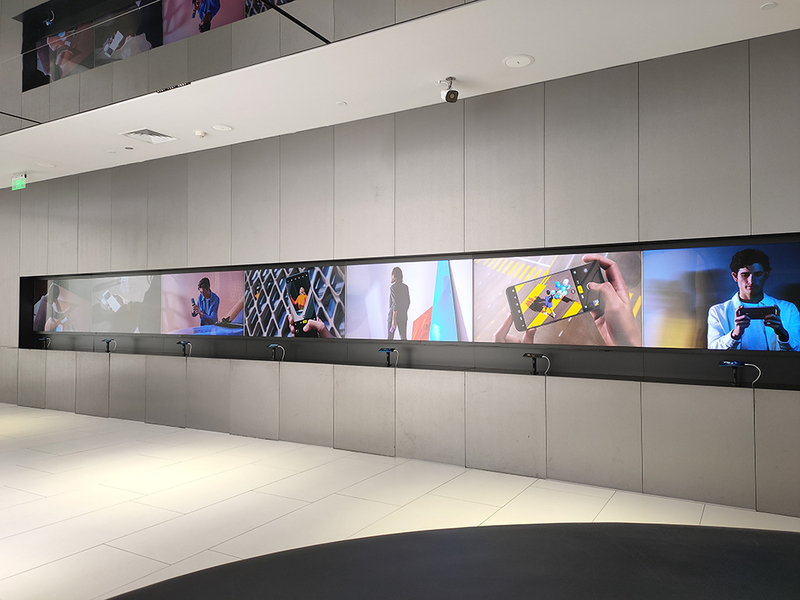 This temporary room was installed to give visitors an idea of how the Reno’s camera (or any phone you want to try) reacts to changing environmental lights. The light disc in the room constantly rotates, and goes from bright to dim as it does so. Our friendly host stepped inside and asked us to take photographs of her so we could observe whether her face remains evenly lit as the lights turn darker. 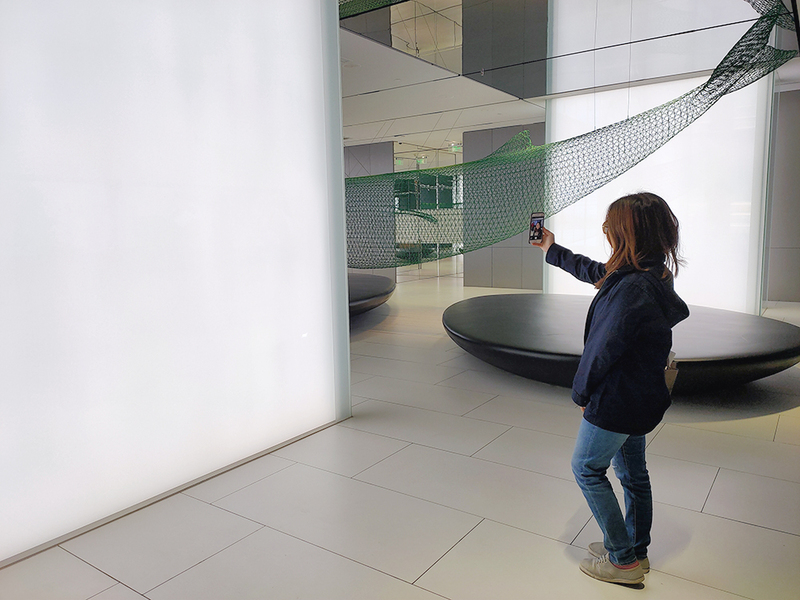 You can even walk in and turn the camera on yourself, to see how your phone handles a selfie in low-light conditions. Achieving an optical zoom of 10x using a physical periscope instead of relying on digital enhancement was no simple feat. 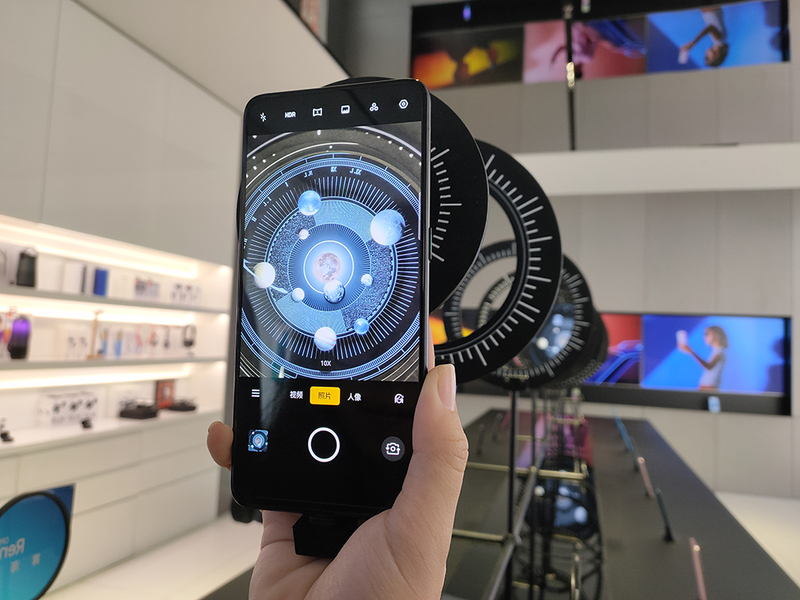 This took Oppo’s product team lots of adjustments to make it happen, and the flagship store makes sure to show off the prowess of this function. One particular station lines up a row of 10 rings at increasing distance, and at the end is an image of our solar system. Standing in front of it, you can position your phone’s camera through the first ring and gradually zoom closer into the image at the other side. The store assistant told me with great confidence to test it out with their Reno 10x Zoom, and compare it to my own iPhone. 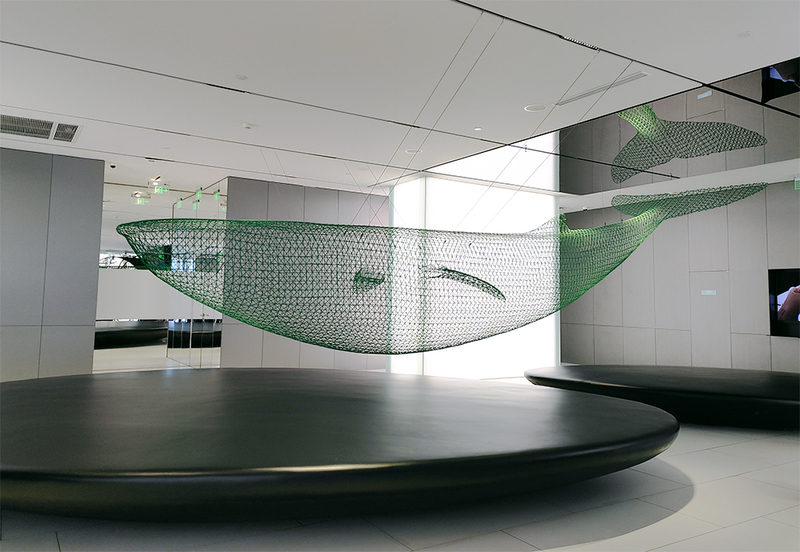 There’s no way you can walk into Oppo’s Shanghai flagship store without noticing the 8 metre-long whale centrepiece hanging mid-air. Whales are majestic and mesmerising creatures, and I’m guessing that was what Oppo intended with this. 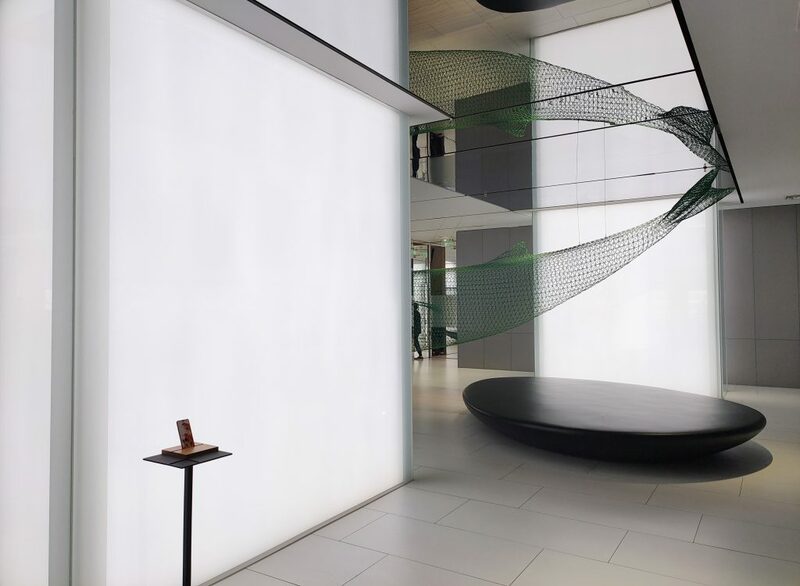 Built out of a metal frame structure in the brand’s green, it doesn’t look imposing despite its hefty size and instead fills the space with a gentle presence. Customers at the flagship store can rest on four wide stone seats around the store, sharing a relaxed environment close to the whale, or even lying under it. When you lie down, mirrors on the ceiling above makes for a cool photo opportunity. 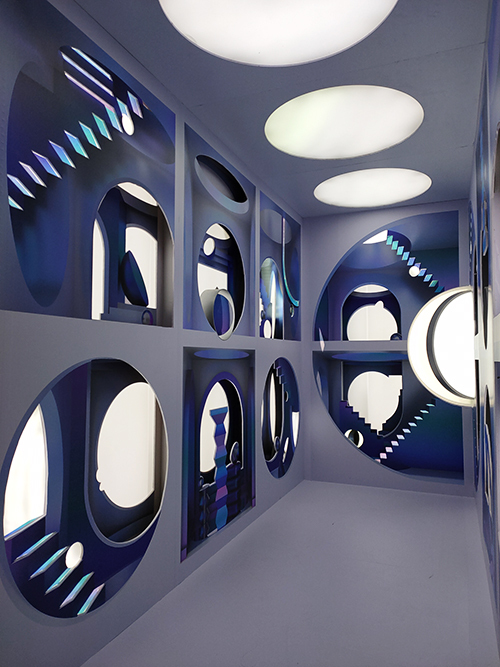 In fact, visitors are encouraged to indulge in a fair dose of narcissism, as their walls are specifically designed to illuminate your face for the perfect selfie with their clean, but muted white light. Here’s how the selfie turned out. In Singapore, we’re enamoured of our glamorous two-storey Apple store on Orchard Road, with all the aesthetic appeal of its high ceilings, wooden accents, and giant spiral staircase. 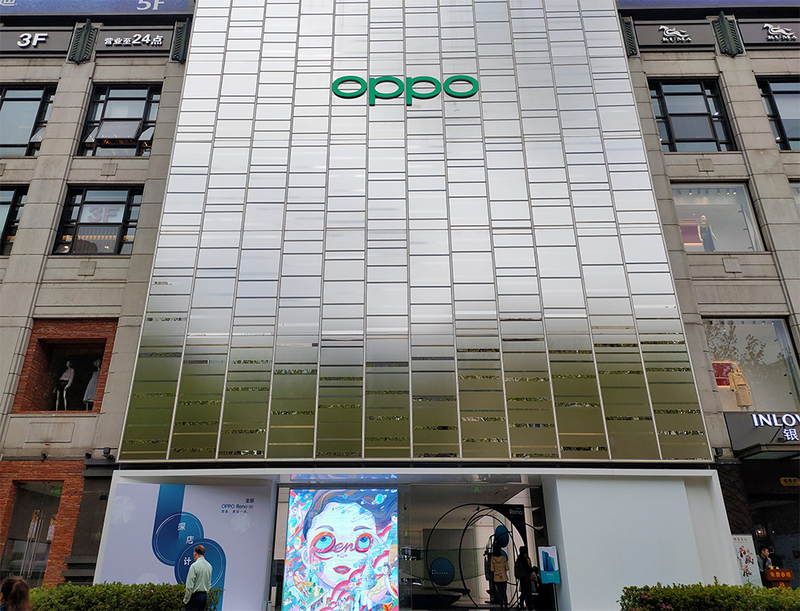 But we also think Oppo’s version of a fun and experiential flagship store would be pretty cool to have here too!